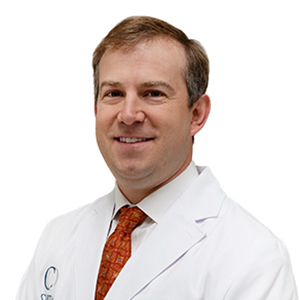 Dr. Hendrix is a graduate of Millsaps College and also the University of Mississippi School of Medicine. After graduation from medical school, Dr. Hendrix completed his orthopedic residency at the University of Mississippi Medical Center. During his residency, Dr. Hendrix also completed an AO fellowship program in Zurich, Switzerland. Afterwards, Dr. Hendrix completed a sports medicine fellowship in South Carolina, where he trained with the Steadman Hawkins Sports Medicine Fellowship. Dr. Hendrix is Board Eligible with the American Board of Orthopedic Surgeons and is extensively trained in the treatment of sports-related injuries- specifically hips, knees, shoulder, and elbow injuries. With specialties in sports medicine and shoulder reconstruction, Dr. Hendrix is widely respected for his knowledge and treatment of shoulder replacements and complex shoulder injuries. In his spare time, he enjoys spending time with his wife and four beautiful children, who he loves to help coach in their various sports. He also enjoys fishing and duck hunting, and has always been passionate about providing the best possible care for each of his patients. Orthopedics. 2017 Jan 1;40(1):e136-e140. doi: 10.3928/01477447-20161013-06. Epub 2016 Oct 18. Bergin PF, Kneip C, Pierce C, Hendrix ST, Porter SE, Graves ML, Russell GV. Clinical Orthopedic Related Research. 2014 Nov;472(11):3370-4. doi: 10.1007/s11999-014-3639-1.